Difusión y estudio de la filatelia, desde Perú. Online catalogue of India commemorative, definitive, service stamps, military overprint, miniature sheets and British India stamps. Online catalogue for the stamps of Poland and related stamp collecting areas. Background information for the English speaking world about everything depicted on Polish stamps, sheets, sheetlets and decorative labels. Òrgan oficial de difusió del Grup d'estudi i col·leccionisme dels segells de valor variable. It promotes Southern Africa philately, publishes a journal three times per year, and hosts the South African Collectors Society and its journal The Springbok. It was founded in 1978 to study, record and publish information relating to the philately and postal history of Kenya, Uganda and Tanganyika, including related former postal administrations. Een weblog gewijd aan bibliotheken, boeken en verzamelen alsmede aan historisch Heemstede en Zuid-Kennemerland. 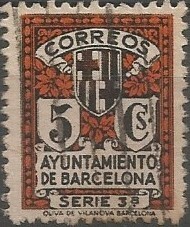 Incorporated on the 13th October 1928, it has as its primary objective the documentation, preservation, advancement and promotion of philately through education, study research and services. Als Interessenvertreter der Briefmarkensammler in Deutschland bietet der BDP den unter seinem Dach etwa 32.500 organisierten Sammlern in Vereinen und Arbeitsgemeinschaften und seinen Direktmitgliedern mit einem breiten Leistungsangebot eine Heimat. Gegründet im November 1962 zählt heute rund 130 Mitglieder. 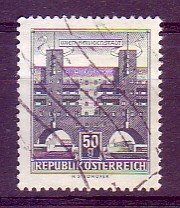 Als Verein gehören wir auch dem Verband Schweizerischer Philatelisten-Vereine. El Círculo Filatélico de Cerro (La Habana) es uno de los órganos de base de la Federación Filatélica Cubana para promover la filatelia en el país. Un racconto fatto di itinerari storici, culturali e postali che attinge a piene mani dai tanti recinti dell'anima dentellata: marcofilia, interofilia, storia postale, filografia e quant’altro serva a stimolare la nostra voglia di approfondire. National organisation composed of and supporting theme based collectors and exhibitors from across the UK, Europe and the world. Blog oficial de la Federación Balear de Sociedades Filatélicas (FEBASOFI). Noticias. Catalog about flora on postage stamps. Comprehensive catalog of postage stamps, first day covers, cancellations, and other philatelic items depicting the medieval Italian poet Dante Alighieri. La cultura en los sellos de correo. Archivio storico di Tranquillo Marangoni: sito web interamente dedicato all’artista e corredato da un ampia galleria virtuale di opere e documenti costituenti un fondo artistico di ricerca iconografica. Collecting the world of engraved stamps. Przy Okręgu Pomorskim. Polski Związek Filatelistów. La collection de timbres est toujours un voyage: à travers le temps et l'histoire, autour du monde, parfois même dans des pays qui n'existent plus. Les philatélistes ont en commun cette passion de découvrir une nouvelle histoire, un personnage. Museo Ignacio Zuloaga, en Pedraza de la Sierra. Posts and resources about Swedish definitive stamps from 1937 to 1973. Amicale Philatélique de l'Est-Belfort: club fédéré du département du territoire de Belfort. Biography and paintings by Alonzo Chappel. El ferrocarril a través de la filatelia. Clássicos, emissões ceres e história postal de Portugal. Notafilia (coleccionismo de billetes), numismática (monedas, fichas y medallas) y filatelia (estampillas, sellos y elementos postales) de Colombia. An intersection of history and philately. Site consacré à l'oeuvre de Pierre Gandon (1889-1990). Informações filatélicas, com enfase no Brasil. Great Britain philately from Penny Blacks to Wilding booklet panes. Specialised range of Great Britain stamp booklets. Un percorso di filatelia al femminile. The Association of British Philatelic Societies Ltd.
National organisation catering for the needs of collectors through the federations and local societies and those interested in philately. Promotion of philately in Israel. Stamp catalogue. National postal operator of Armenia. Applied art, architecture, graphic design, industrial design, miscellaneous ephemera and propaganda from Czechoslovakia (1918-1992). Great Britain stamps from 1840 to date. Nanjing Godroc Commerce Co., Ltd.
Design and production of stamps bags, stamp albums, glassine bags, glassine paper envelopes. Filatelia è cultura. Filatelia medica. Société Philatélique d'Ottawa, fondée en 1891. Catalog of stamps of Brazil. Blog colectivo de filatelia temática para discutir, interpretar y proponer ideas sobre este aspecto del coleccionismo, además de recopilar antiguos artículos ya publicados. A database of stamp engravers all over the world and their work. Covers and stamps from all over the world. Greek and universal philatelic information. A rézkarcolás mindennapjairól, tapasztalatairól, örömeirol. Mint stamps, souvenir sheets, booklets, first day covers, maximum and postal cards. 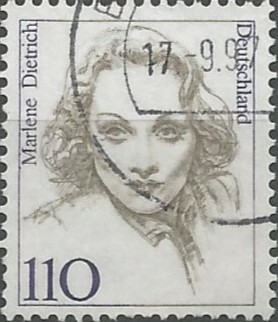 Blog about stamp designers and their stamps. Paleontology and its representation in philately. Collection of postage stamps and another kind of philatelic material about prehistoric animals, human ancestors, plant fossils, fossil found sites, paleontologists and museums. Culture and politics from Philippines, by E. San Juan, Jr.
Fundada em 21 de junho de 1931, tem por finalidade o estudo da filatelia e numismática. Noticias, vídeos y vínculos filatélicos. 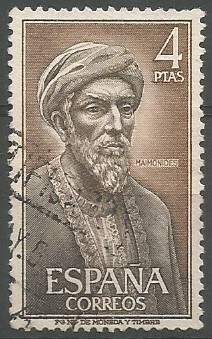 Stamps and banknotes from countries which no longer exist: countries, colonies, revolutionary entities or occupational forces, before 1956. Great Britain, Empire & Commonwealth philately. Filipino bookstore. Source for Filipino heritage materials. World stamp catalogue. Advanced search features, stamp collector community and a ton of extra information and tools. Historia filatélica de Honduras, y de Centroamérica en general. Blog especializado sobre filatelia en Cuba. Relazioni tra collezionisti di francobolli di tutto il mondo in modo che ognuno possa arricchire le proprie collezioni e le proprie conoscenze. Francobolli emessi dall'Italia con le numerazioni relative ai cataloghi Unificato, Yvert & Tellier e Michel. Site de partage de connaissances entre les amateurs et passionnés de philatélie, il n’a aucun but lucratif et son contenu s’enrichit chaque jour par la collaboration active de ses visiteurs. Views and concerns. For a brighter Bulan. Greece and territories philately. Greek stamps, postal history covers, Greek first day covers, errors, souvenir sheets, booklets, postcards, pre- and post-philatelic, as well as used, new and rare Greek stamp issues. Revista trimestral de lengua y literatura hispanofilipina. Filatelia y numismática de Ecuador. Landsdækkende forening af mennesker, som interesserer sig for amerikansk filateli. L'enveloppe 1er jour, plus qu'un timbre. Recortes del mundo filatélico, historias & rarezas. Accessories for cigarette cards, postcards & stamps. Compiled by Chris Gibbins since October 23, 1998. Organisme fundat a Barcelona l'any 1971. President: Enric Mons Borrell (Mataró) & secretari general: Pere Martí Guasch (Sant Feliu de Llobregat). Pul ve pulculuk blogu. Filateli ve filatelist blogu. Ephemera related to books, their owners, sellers, binders & publishers. Stamp archives, archival articles, maps, glossary, and philatelic directories. The complete reference to Israeli stamps from 1948 and onwards. Comprehensive philatelic directory on the web. Cyprus stamps, first day covers & postal history items. Catálogo de estampillas de Perú. Ottoman Empire & Turkey stamps (1863-1940). Association of collectors to promote the study of the philatelic output during the Straits Settlements era, Japanese occupation administered areas and relevant classical material. Canadian mint, booklets, corner blocks, first day covers & sheets. Annonces, forum, echanges & collection. Tienda de coleccionismo e inversión en Huelva. Virtual philatelic collection of Lithuania on world postage stamps. Philatélie de Saint-Pierre et Miquelon. Catalogue des timbres de Scandinavie. Eastern Europe & Central Asia stamps from 1990. A full service stamp dealer since 1972. Timbres de France et oblitérations de l'Ouest. Le moteur de recherche philatélique.